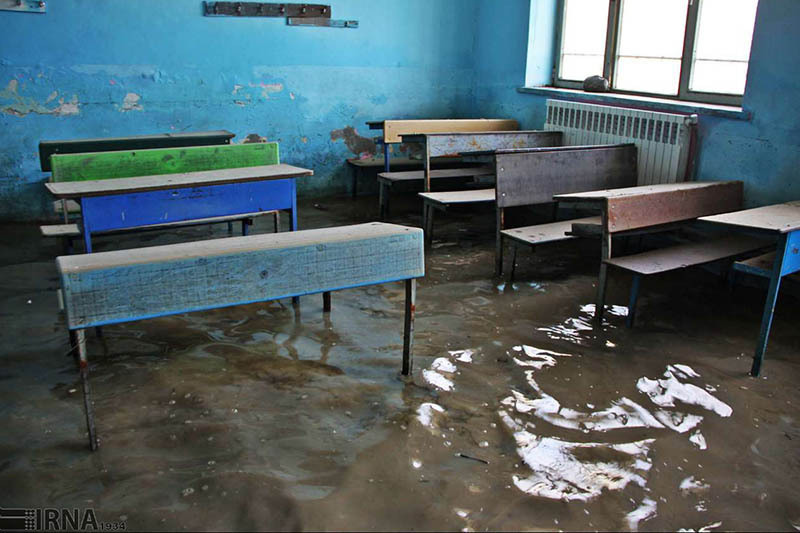 At least a total number of 77 schools were destroyed due to devastating floods in various provinces across Iran, a non-governmental organization said on Monday. Out of the 77 destroyed schools, 55 were in Lorestan Province in central west of Iran and 22 were in Golestan north of the country, according to Mehr Giti that has conducted an assessment in affected regions in Iran. Unprecedented heavy rains in various parts of Iran that began in northern Iran on March 19 and went on in west and south caused floods, dams' outpouring, river floods and landslides. Scores of people were killed and hundreds were injured in addition to thousands who were left homeless. The situation necessitates schools reconstruction to make sure that no child would lag behind education and attending school. Zahra Gitinejad, managing director of the Iranian NGO, called for more cooperation between governmental and non-governmental bodies for reconstruction of the schools. The disaster has also damaged infrastructures, including bridges and roads, in urban and rural areas. The report on the number of destroyed schools was released amid the fresh flooding in the southwestern Province of Khuzestan.